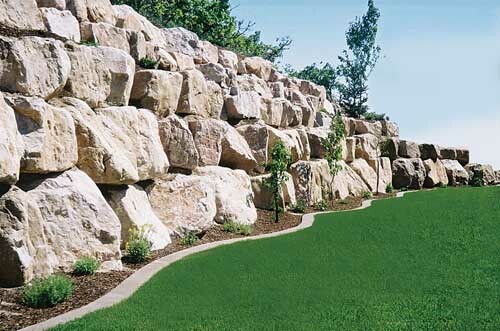 Rock retaining walls are often a lot more than a rock or boulder wall supporting the ground behind it. Almost all of our Rock Retaining Walls form an integral part of both the landscape design and the overall aesthetics of the location area. Whether it is a backyard, the grounds of commercial premises or a public park or road, a rock retaining wall can provide both a structural function and a landscaping / aesthetic component all in one. 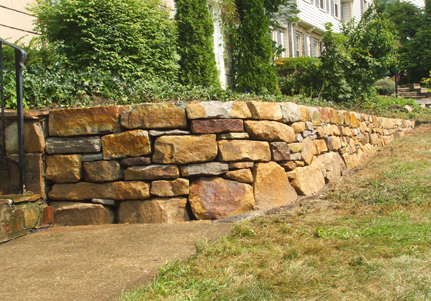 Better still, built properly a rock retaining wall can last for decades if not centuries. There are many examples throughout South Australia of rock walls which were built by the first convicts nearly 200 years ago which are still doing the job they were designed for. With over 20 years experience building retaining walls, excavations and landscaping SA Civil Earthworks can not only design and build the rock retaining-wall of your choice, we can also ensure that your rock wall is built properly with the right foundation and drainage specifications as well as the rock colour and size of your choice. Add to that our superior customer service and competitive pricing to ensure that you not only get treated right but get great value as well.